In 2002, Michelle Knight was kidnapped by Ariel Castro in Cleveland, Ohio. She was held captive and sexually abused by Castro for more than a decade. 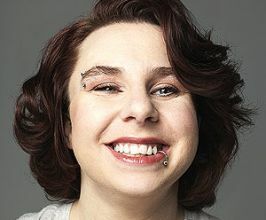 Born in April 1981, Michelle Knight was 21 years old when she was kidnapped on August 23, 2002, in Cleveland, Ohio. After another captive, Amanda Berry, escaped, leading to Knight and a third victim, Gina DeJesus, getting rescued in May 2013. The women's harrowing ordeal made the case a media sensation. On August 23, 2002, Knight left her cousin's house and subsequently disappeared. Her family reported her as missing, but most eventually came to believe that Knight, distraught over losing her son and unable to deal with the negative turns her life had taken, had run away on her own. Though her mother continued to post fliers about her daughter, Knight was removed from the FBI's database of missing persons in 2003. In fact, Knight had been offered a ride by Ariel Castro on that fateful August day. As she knew one of his daughters, Knight accepted the lift. She then agreed to enter Castro's Cleveland home, located at 2207 Seymour Avenue, when he promised to give her a puppy for her son. Once inside, Knight was restrained and imprisoned. It was the beginning of years of torture. As a result of the sexual abuse Knight suffered during her time as a prisoner, she reportedly became pregnant five times, but miscarried each time after being starved and beaten by Castro. Two other young women, Amanda Berry and Gina DeJesus, were later abducted by Castro; Knight was forced to deliver the child Berry gave birth to while in captivity. Castro also taunted Knight about the fact that DeJesus and Berry had family members desperate to find them, while no one was looking for her. When Castro left his house on May 6, 2013, Berry managed to get to the front door and scream for help, getting the attention of a neighbor. After Berry escaped, she called 911. The authorities who arrived at the scene soon rescued Knight and DeJesus as well. Knight had been held by Castro for more than 10 years. After her release, Knight was brought to the hospital; having been severely beaten by Castro, she was left with a loss of vision and nerve damage. Her mother told the press that she hoped to reunite with her daughter, and to introduce Knight to a younger sister who had been born during the time she was captive. However, Knight chose to avoid her family after leaving the hospital. At Castro's sentencing in August 2013, Knight stated, "I've got my life back. I spent 11 years in hell. Now your hell is just beginning." Castro hanged himself in prison on September 3, 2013. In November 2013, Knight spoke to television host Dr. Phil McGraw about her ordeal; she also wrote a book about her experience. All American Speakers is a speakers bureau and booking agency providing information on booking Michelle Knight for speaking engagements, personal appearances and corporate events. Contact an All American Speakers Bureau booking agent for more information on Michelle Knight speaking fees, availability, speech topics and cost to hire for your next event. Please Note: All American Speakers Bureau acts only as an entertainment broker/producer for corporate functions, private engagements and special events. All American Speakers Bureau does not claim or represent itself as the exclusive agent or management of Michelle Knight or any artist on this website. Speaker fees are determined based on a number of factors and may change without notice. Fees often vary based on a number of factors including: speakers schedule, supply and demand, length of presentation, location of event and other factors. Fee Ranges listed on this website are intended to serve only as a guideline. In some cases, the actual price quote may be above or below the stated range.